Weekly Shonen Jump magazine’s one of most famous manga series “The Promised Neverland” or better known as “Yakusoku no Nebārando” already broadcast its two episodes. And those two are the best one. 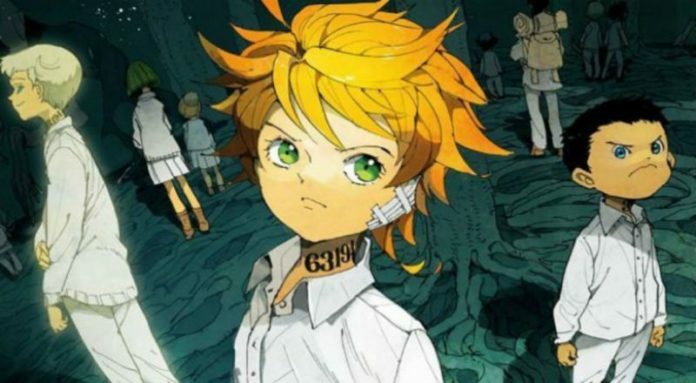 It may not look, but the Promised Neverland is a lot of suspense story. The upcoming episode 3 will show orphanage’s new caretaker, Sister Krone. Over a social media, Organic Dinosaur shares English translation of episode 3 which was released by Weekly Shonen Jump magazine. Take a close look at the synopsis for the Promised Neverland Episode 3 which is titled by 15104. The following episode reveals more trouble for Emma and Norman. Episode 2 added Ray with Emma and Norman to make an escape plan. However, according to Ray, it won’t be impossible to take all the 37 children. But Emma wants to save all the naive children from the monsters who plan to eat them one by one. According to above synopsis, episode 3 will take us how the three kids will get a hand on tracking devices which implanted on their bodies. However, Isabella, caretaker mother of the orphanage brought a new helping hand to find out conspirators among 37 children. The first season is slated to run for 12 episodes. The Promised Neverland will air its third episode on January 24, 2019.